Anthony Perez was born in Miami, Florida and raised in the city of Kendall. His parents moved to Southwest Florida and were immersed in the real estate market. He grew up watching, and eventually helping, his parents buy, repair, and sell several properties a year. 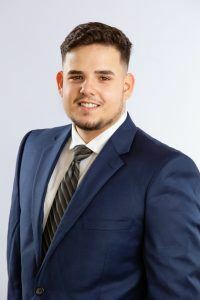 A graduate of Lehigh Senior High School, Anthony pursued a career in door-to-door solar panel sales, receiving recognition as the Top Sales Agent eleven times as well as other awards. When his father decided to open a construction company here in Southwest Florida, Anthony was there to help build the business from the ground up. Anthony enjoys spending time with his family and the outdoors. He likes fishing, going camping, and traveling.